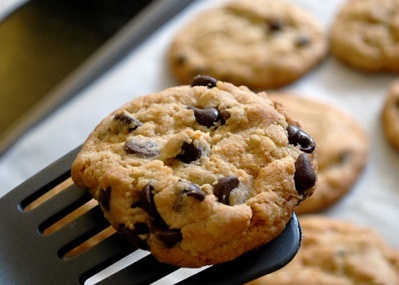 There is nothing more popular than a really good Chocolate Chip Cookie. The food is considered a true American comfort food. What's needed is a really good cookie recipe. This one you'll appreciate. The restaurant guests voted it a favorite restaurant dessert recipe for a cookie! One of my favorite things to do is make cookies and give them as gifts. I give cookies for almost any occasion. This recipe is very old. It was given to me when I started the restaurant and it has been a good one ever since. Grandma raised four boys with these cookies! :-) It is now a favorite real restaurant recipe. There you have it. 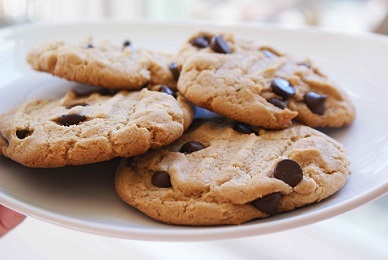 A great restaurant recipe for a favorite cookie. Thank you for "surfing" onto the website. Please click around the website to discover hundreds of other restaurant recipes you'll enjoy cooking at home. You can cook with confidence and style! Enjoy your cookies and the company of those you share it with! Did you Know? 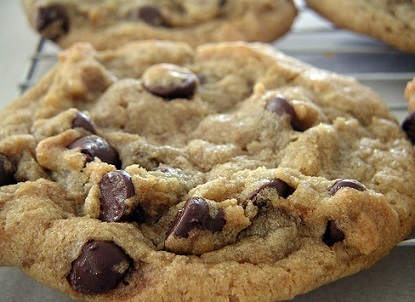 The original chocolate chip cookie, the Toll House Cookie, was invented by Ruth Graves Wakefield in 1930. Ruth and her husband Kenneth owned the Toll House Inn, near Whitman, Massachusetts. Ruth cooked for her guests, and one day had to substitute semi-sweet chocolate for baker's chocolate in a cookie recipe. She chopped the chocolate in bits, but when she took the cookies from the oven, the semi-sweet chocolate had not melted into the dough as the baker's chocolate had. The history of "Toll House"